U.S. crude stocks rose last week, while gasoline stocks decreased and distillate inventories fell, the Energy Information Administration said on Wednesday. Crude inventories rose by 3.2 million barrels in the last week, compared with analysts' expectations for an increase of 4.1 million barrels. Crude stocks at the Cushing, Oklahoma, delivery hub rose by 1.9 million barrels, EIA said. Refinery crude runs rose by 149,000 barrels per day, EIA data showed. 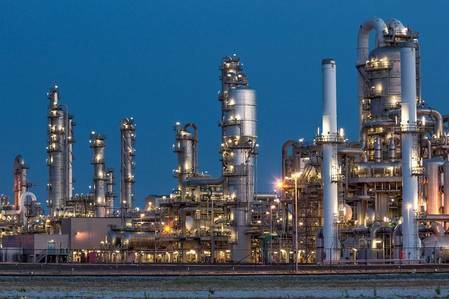 Refinery utilization rates rose by 0.2 percentage points. Gasoline stocks fell by 3.2 million barrels, compared with analysts' expectations in a Reuters poll for a 2.1 million barrels drop. Distillate stockpiles, which include diesel and heating oil, fell by 4.1 million barrels, versus expectations for a 1.4 million barrels drop, the EIA data showed. Net U.S. crude imports fell last week by 639,000 barrels per day.